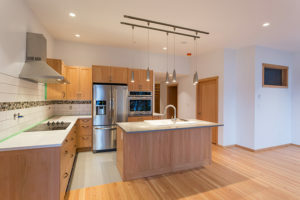 The certified Bell Nakusp Passive House triplex is nominated for a 2018 BC Wood Design Award in the Multi-unit Residential Wood Design category. 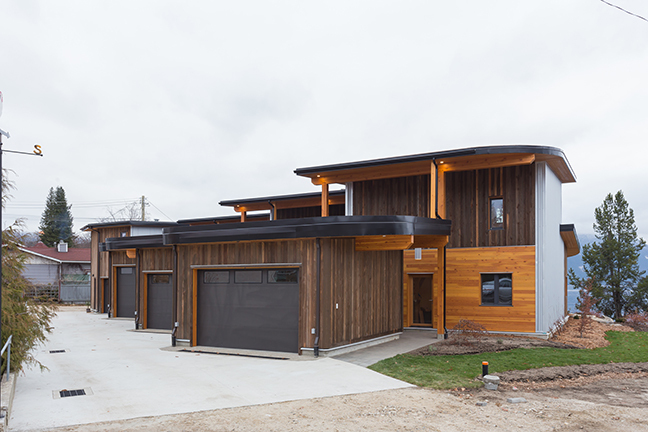 The project is a series of three Passive House row houses, with a coach house of conventional construction. Designed to facilitate aging in place, it is intended that the three Passive Hosue suites will be supported by the caretakers suite in the coach house. 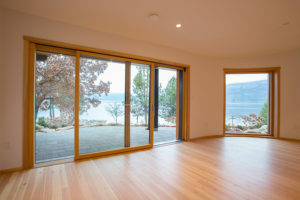 The location, on the banks of the Columbia River, is adjacent to a beautiful boardwalk, offering access to a spectacular landscape, amazing views and plentiful sun. The suites are arranged to provide a feeling of community while offering sufficient privacy. 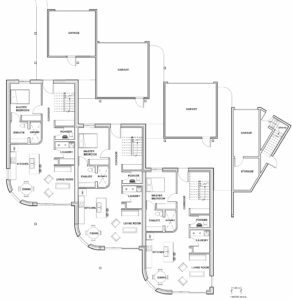 Each suite has a detached garage to the north. 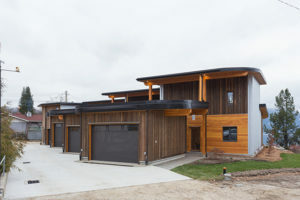 Between the suites and the garage is a protected space that acts like a courtyard, offering shady refuge from the summer sun and intermittent wind. 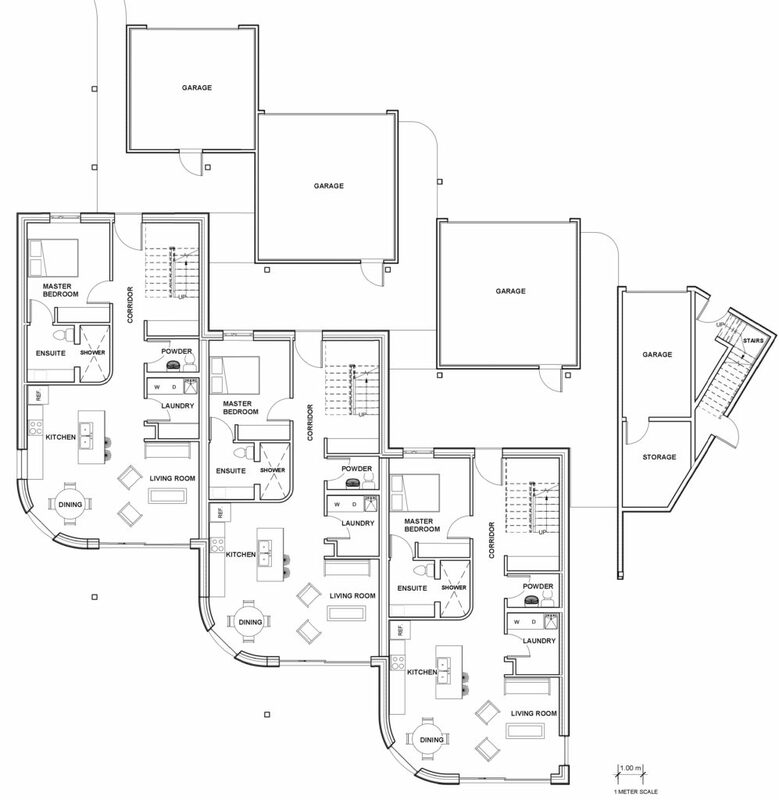 Each suite also has a south-facing covered patio. The suites have been offset from each other to allow each patio to have unobstructed views of the mountains and river, while being separated enough from the neighbor to feel like you are out in the country. The construction system is a triple stud frame, insulated with cellulose. 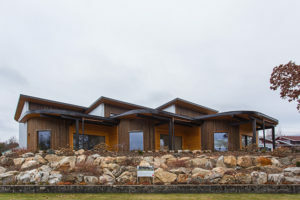 The roofs are parallel cords trusses. The cladding combines corrugated steel and local cedar. 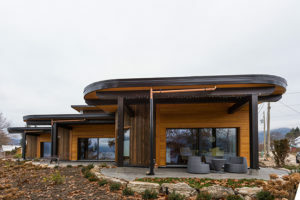 The architectural design is a collaboration between Lukas Armstrong of Cover Architectural Collaborative Inc, J. Molly Bell (the client), and Dave Madden, of Madden Timber Construction (the builder). 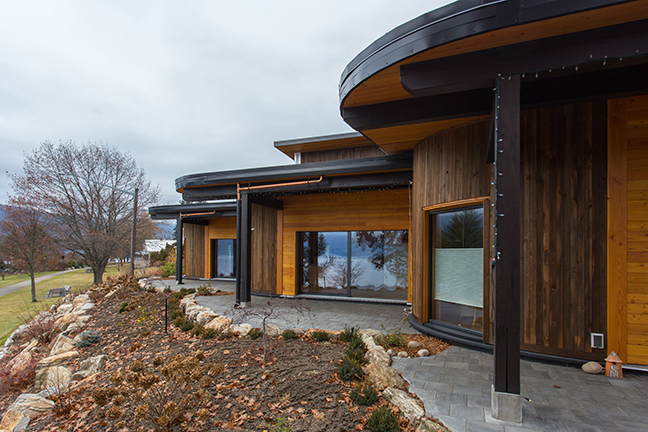 Passive House design was provided by Cover Architectural Collaborative Inc, of Nelson, BC. Energy Consulting was provided by Andre Harrmann, of Harrmann Consulting. 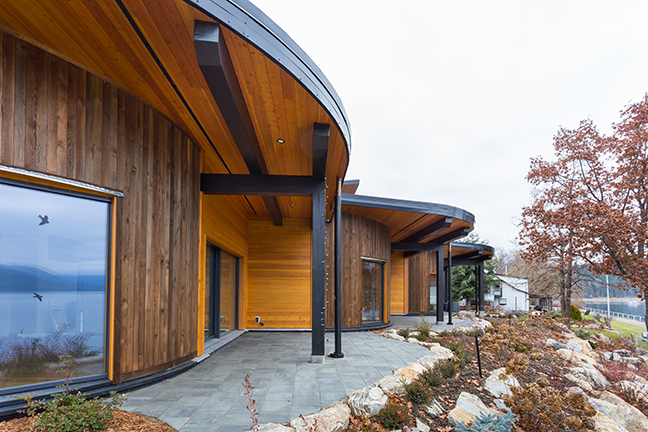 Third-party certification was provided by Peel Passive House Consulting from Ontario. Mechanical engineering has been provided by Mirko Slivar, of Rocky Point Engineering.